← Or Is It ? 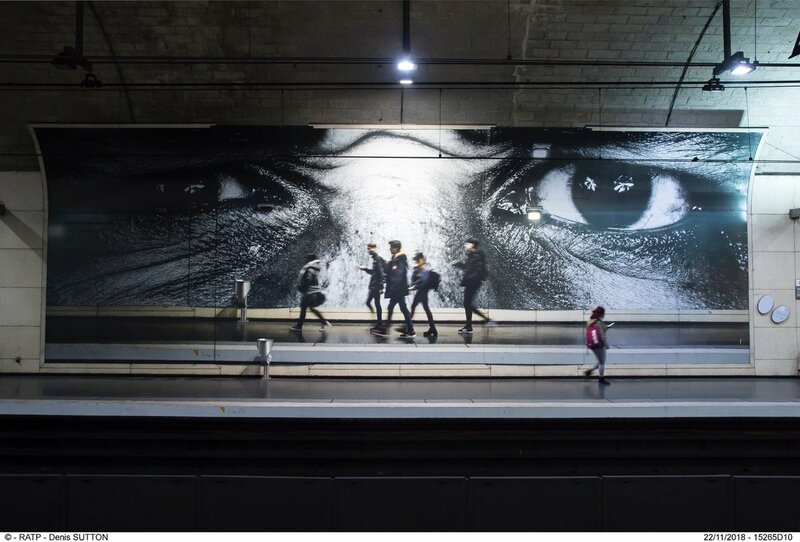 For the past few years, here in the States we have had the opportunity to get to know the work of the popular French street artist known as JR. Now Parisians can catch-up with their hometown guy’s artwork at his exhibition currently on view at Maison Européenne de la Photographie and while riding the Metro and RER trains. 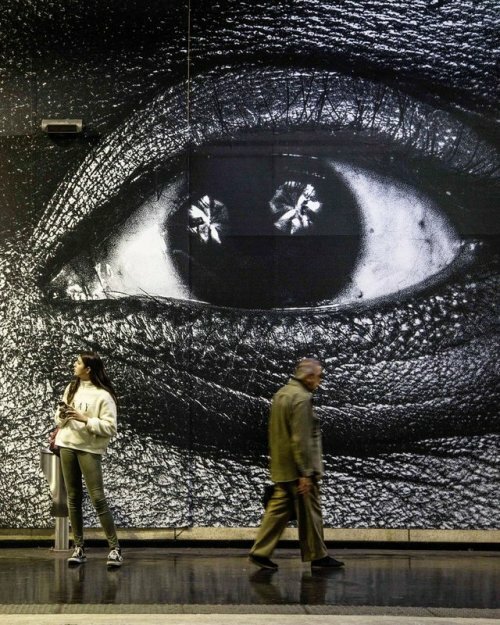 Installations featuring JR’s giant eyes series can be found at eleven stations, including Saint-Michel, Hôtel de Ville, Gare de Lyon, Luxembourg, and Pyramides. 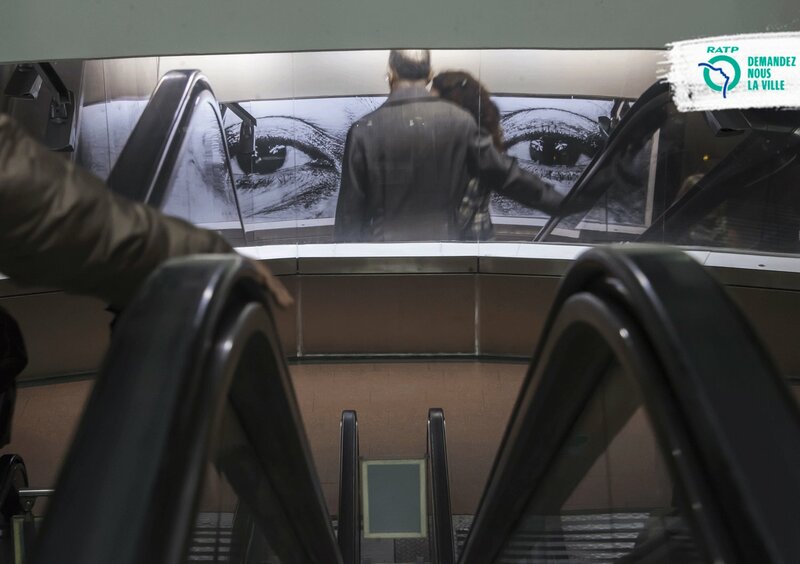 This entry was posted in Art, Europe, Museums, Photography, Public Transport, Tourism and tagged Metro, Paris, RER, Street Art. Bookmark the permalink. 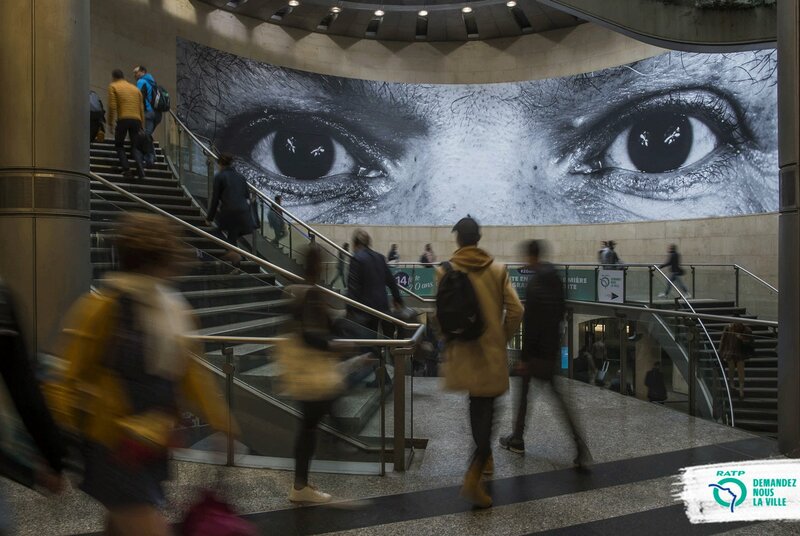 Those eyes would be crying if they were looking down onto our dilapidated subway in Boston (or NY, for that matter).